These ladies are five sisters. They are my mother and four of her siblings. My mother is the small lady on the right side of the picture near the wall. 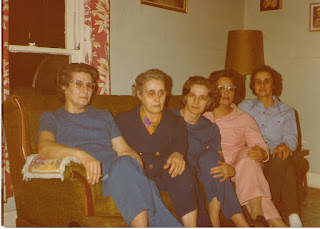 The ladies are (from left to right): Ann, Emma, Frances, Dorothy, and Lola (my mother). Their maiden name is Blackburn, children of Frank Blackburn and Ona (Wells) Blackburn. All of these sisters are now gone from us. There is another sister, Lucille, who now lives in North Carolina. We do not see her much. I have a young picture of her. There was also a sister named Virginia, who is also gone from us. There was also a sister who died in infancy named Elsie Jewel, who passed away in the early 1930's. There was also another infant named Jesse Mae, who passed away as an infant. 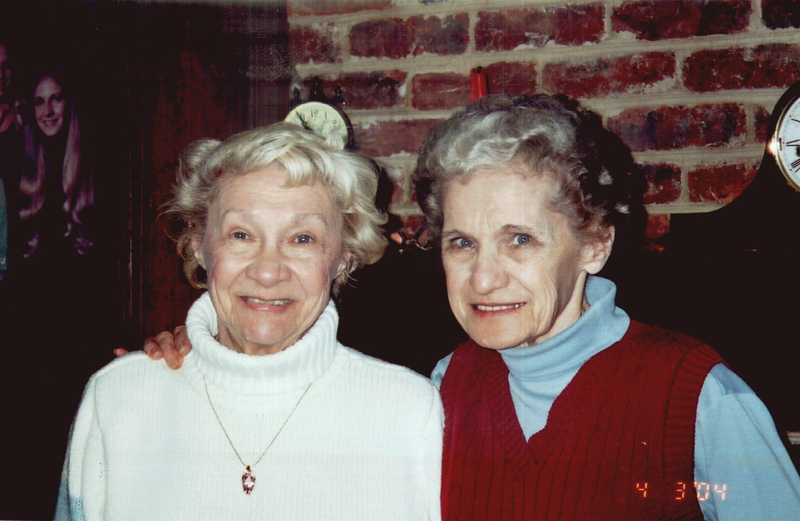 The picture to the left is one of Frances and Lucille, which was taken when Lucille came to visit her family. 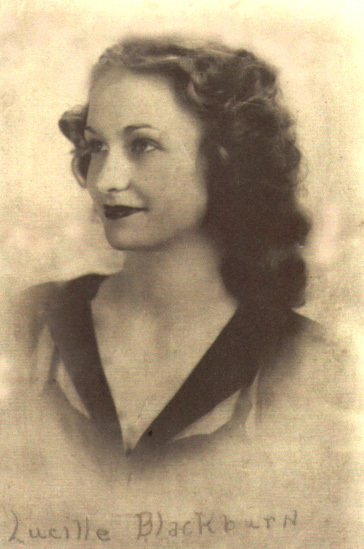 The picture below this one is a picture of Lucille in her younger years. To the right you can see a picture of Jesse Mae in her mother's arms and some of the other children. 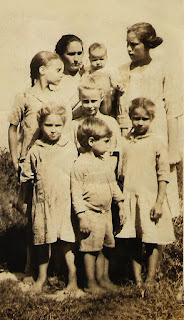 Besides Jesse Mae, there is Emma, Virginia, Lola, Ann, and James (in front). Later were born Allen, Dorothy, Lucille, Frances, Elsie Jewel, and Donald -- 12 in all. They are all gone now, I think, except Lucille. I knew most of them well, and we had some good times together. Several of them would come to our house during holidays and eat with us, and James would usually stay a few days with us, since he was not married. We always enjoyed their visits and especially James' wittiness and willingness to do almost anything.